Kempton Park betting tips page with all the helpful Kempton Racecourse facts below the tips. OLBG has been building an army of knowledgeable tipsters since 2002. They have done the research for you so use them to help you to pick today's best horse racing bets. Kempton Park is a Grade 1 track renowned for holding quality jumps meetings and well supported (by trainers) All-Weather meetings. The course is currently under threat with the owners the Jockey Club looking to sell the land for “the good of racing”. The closure is expected in 2021. Highlights: The most prestigious race in their calendar is the Boxing Day King George VI Chase, the race is often won by future Gold Cup winners and just since 1997 the likes of See More Business, Best Mate, Kicking King, Kauto Star (won this 5 times between 2006 & 2011) and Long Run all won on Boxing Day before winning at the Festival. Kempton has a total of 9 graded NH races, with the best known of the others the Feltham Novices Chase for up and coming top class chasers and the Christmas Hurdle which is usually a stepping stone for Champion Hurdle contenders. One of the OLBG sponsored Mares Hurdle Series races takes place at Kempton in November, the OLBG Mares Hurdle is a listed event run over three miles. Bookmaker Streaming Services Available from: All Bookmakers. If you are off to the races at Kempton today then make sure you download the OLBG app to get all the latest Kempton tips. There are two courses the National Hunt turf track and the All Weather 'Polytrack' for flat racing. The Jumps course is right handed and triangular in shape, with the fences considered fair. The first fence in the home straight can often catch horses out, especially those starting to tire as it comes fairly quickly after the final bend. The highlights on the All-Weather track are the Group 3 Sirenia Stakes and September Stakes. Draw Advantage: Kempton is the only right handed All-Weather track, the bias makes for interesting reading. Kempton is oval shaped with two loops, known as the inner and outer loops. 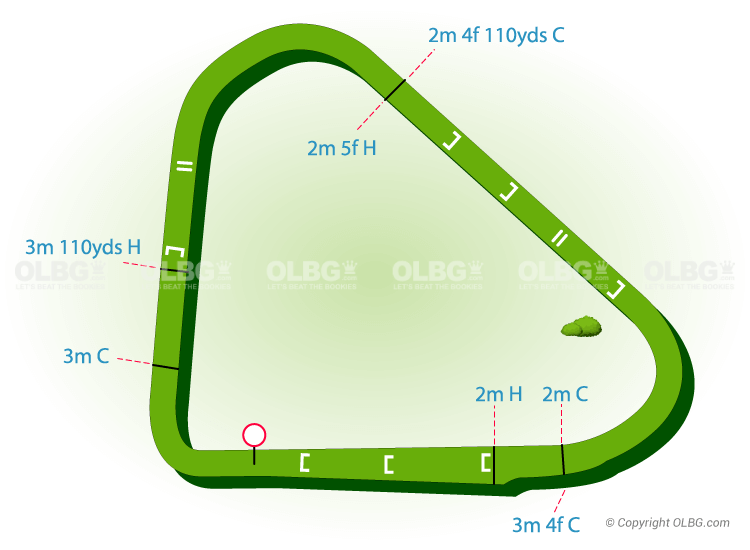 On the inner loop which is used for 5 furlong races there is a shorter run in after the final turn, the outer loop is used for 6 furlong races and has a much longer run in. 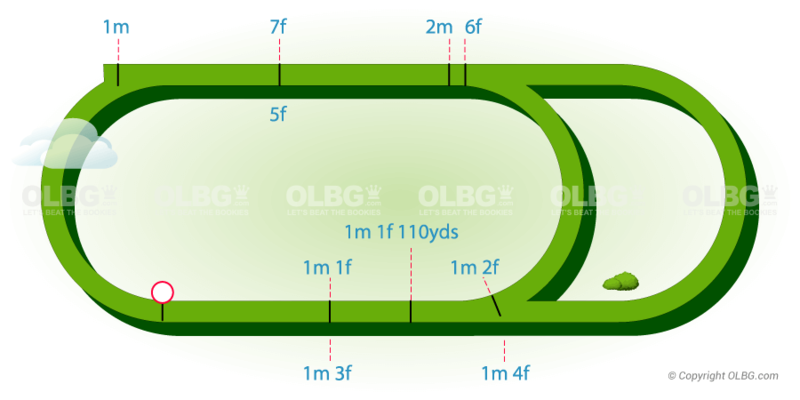 Over 5 and 6 furlongs you need to get a good position quickly as the right hand bends come quickly, the low numbers (1-5) have an advantage as long as they ping the gates. You do not want to be drawn in stalls 9 and above. We tested over a period of two years the winners from stalls 1-4, 5-8, 9-12, in 5 and 6 furlong races at Kempton, stalls 1-4 came out clearly on top. The same is true over longer distances but to a lesser degree, the cutaway where the two tracks meet also seems to favour low drawn (1-4) runners. A quality horse can win from higher number stalls, but it is harder for them, your Kempton Park tips should always take the draw into consideration. 5 Furlongs to a Mile: Low Numbers have an advantage. Who are the best jockeys and trainers to bet on the flat at Kempton ? John Gosden leads the number of winners table since the start of 2014 with 77 from 310 runners (24% strike rate) and showing a nice level stakes profit when betting at SP on the betfair exchange. OLBG tipsters focusing on John Gosden's 3 year old runners in non handicap races would be showing an even better 34% strike rate (33 winners from 95 runners) and a nice level stakes profit when adding Kempton Tips on the all weather surface. Newmarket trainer Stuart Williams is worth a mention and noting for each way punters on the polytrack here, 66 of his 182 runners have placed since the start of 2014 returning a nice level stakes profit for a better than 1 place in 3 runner strike rate. Who are the best national hunt jockeys and trainers to bet on at Kempton ? Champion trainer Nicky Henderson heads the Kempton national hunt winners list having sent out 72 winners from 250 runners since the start of 2014. That's a near 29% strike rate with a small level stakes profit and between at least 13 to 15 winners in each of the past five calendar years. Since 2016 though OLBG tipsters adding tips on all Nicky's runners here would have returned a level stakes loss each season largely due to the prohibitive odds generally on offer. Nicky has sent out numerous top class winners here in the conditions events (Christmas Hurdle, King George VI Chase etc..) in recent seasons, the likes of Sprinter Sacre, Altior, Whisper, Buveur D'air and Might Bite most at very short odds. Since the start of 2014, Nicky's 35% strike rate in non handicap races (54 winners from 154 runners) is nearly double his 18% strike rate with the handicap runners and OLBG tipsters tipping his non handicap chasers (48%) and bumper runners would be showing a level stakes profit to industry SP. Another trainer with a very good record here at Kempton and still relatively new to the training ranks after being Paul Nicholls' assistant for a number of years is Harry Fry. He has sent out 18 winners from 78 runners (23% strike rate) and returned a 31 point level stakes profit since the start of 2014. Chris Gordon is also worth a mention, his strike rate is a little lower than those two mentioned above but a near 19% is not too bad at all with a nice 45 point level stakes profit. His runners generally go off at nice prices and outperform their odds most of the time. The Christmas Day festivities have passed and many a national hunt racing enthusiast will be counting down the hours and minutes to the Boxing Day showpiece at Kempton Park. First run in 1937, the King George VI Chase is a grade 1 chase over three miles and presents a very different test around a sharp right handed flat track like Kempton compared to the three miles two furlongs of a Cheltenham Gold Cup run on a left handed undulating track with a stiff uphill finish. Having said that such is the quality of the best staying chasers to have graced the Kempton turf on Boxing Day it's no surprise that just in the past 20 years, 6 of the 13 individual King George VI Chase winners went on to win a Cheltenham Gold Cup thereby displaying their versatility. The King George VI Chase roll of honour is overflowing with equine greats like Mandarin (1957 and 1959) and Arkle (1965) in the early days and since Pendil in 1972 and 73 there have been no less than 12 multiple winners of this great chase. Wayward Lad won three in the 1980's, Desert Orchid 4 times between 1986 and 1990, The Fellow 1991 and 92, One Man won it twice in the same year as the 1995 renewal was abandoned due to frost and run at Sandown in January 1996 and he kept his title by winning back at Kempton in December 96. Since 1997 there have been 13 individual and 5 multiple King George VI Chase winners, Kauto Star took the record for most wins when taking his 5th at the age of 11 in 2011 and five years after his first win in 2006 with only Long Run breaking his consecutive sequence in 2010. Trainer Paul Nicholls has won the King George VI Chase 9 times since 1997, Kauto Star providing 5 of those, See More Business won twice in the late 90's, and Silviniaco Conti won back to back in 2013 & 2014. Usually a select field being a grade 1 conditions chase featuring a mix of established grade 1 staying chasers looking to take this on the way to Cheltenham Gold Cup glory, second season chasers hoping to make the step up into the big time and put their name on the ante post Gold Cup map, and one or two who take their chance here but are probably not good enough to take the honours. Only on six occasions since 1997 have we seen a double figure field size, the last was in 2014 and at the time of writing 10 have been declared to line up on Boxing Day this year. Being a conditions race the fancied runners favoured by racing off level weights have generally done well. Only 2 winners were sent off at double digit odds, the biggest being Edredon Bleu in 2003 he was a previous Queen Mother Champion Chase winner though! Three of the last four winners were 8 year old's, but it's the 7 year old's that have won the most since 1997. Kauto Star was 11 years old when he won his record breaking 5th King George VI Chase and Edredon Bleu was also the same age when winning in 2003, these are against the grain though generally and both top notch chasers who had been there and done it so to speak. Kauto Star had won Gold Cup's in addition to his 4 previous King George's and Edredon Bleu was a previous Queen Mother Champion Chase winner at the Festival. Of the previous 10 individual winners dating back to 2001 only Thistlecrack in 2016 had not previously won a grade 1 chase in the UK, he had won a grade 2 chase. All had won a chase over at least 2 miles 4 furlongs, 16 had won over further than 3 miles which is key as they go quick from the start so although a speed favouring track you still need to see out the trip. 5 were winning at this 3 mile distance for the first time, two of those though (Best Mate had already won the Gold Cup & First Gold) had won over further. Since 2001 all the winners had at least 3 chase starts in the UK and won at least twice over fences. The lowest officially rated winner was Teeton Mill (156) in 1998, Kauto Star was rated as high as 186 when winning his 4th King George VI Chase in 2009. Ten were rated in the 170's. 19 finished in the first three last time out, 15 had won. 9 Winners were coming here from the Betfair Chase at Haydock in November, won in 2018 by Bristol De Mai who had Might Bite, Thistlecrack, Native River and Clan Des Obeaux all behind. All had between 1 and 4 seasonal starts prior to winning here. 14 of the winners had not run for at least 31 days, all had ran previously within the past 63 days. 3 of the last 10 individual winners went on to win the Cheltenham Gold Cup on their next start. 8 of the last 10 individual winners of the King George VI Chase went on to further grade 1 chase glory, 4 of those enjoyed more success in this race. The King George VI Chase tends to be won by the fancied runners more often than not as we have runners with varying official ratings but all running off the same weight. Be sure to check out the King George VI Chase tips above from our racing tipsters and all today's horse racing tips from OLBG's best horse racing tipsters here.